New Zealand, Australia and New Guinea uses different power plugs to the rest of the world. New Zealand power outlets accept power plugs with 3 flat pins (1 of which is an earth pin, which is a simple safety measure). Some power plugs don’t have the earth pin but they still fit into the power outlets. Electricity in New Zealand is supplied at a minimal voltage of 230-240 Volts and 50 Hertz although most hotels and motels provide 110 Volt AC sockets (rated at 20 Watts) for electric razors only. Unless an electrical appliance is rated and marked for use at 230V or has a multi-voltage option that includes a 230V rating, it will be necessary to use a suitably rated voltage adapter/converter. 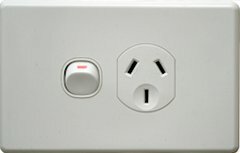 Direct connection of an appliance that is not rated for use at 230V into a NZ socket-outlet is likely to result in a fire or electric shock hazard. In New Zealand, the outlets have switches on them so you can leave the piece of equipment plugged in but switch off the surge of electricity. Contrary to the US, the switch is down which means it is “ON”. A lot of New Zealand power outlet switches have a red mark on them it indicates the power is on. The image shows the switch “ON”. New Zealand uses mainly renewable energy sources such as hydropower, geothermal power and increasingly wind energy. 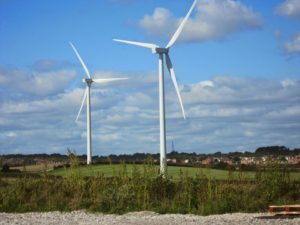 The 70% share of renewable energy sources makes New Zealand one of the lowest carbon dioxide emitting countries in terms of electricity generation. The planet will love you for it.